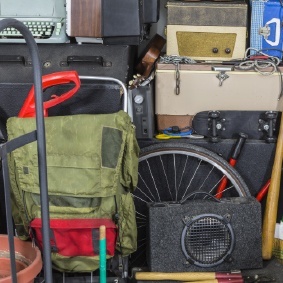 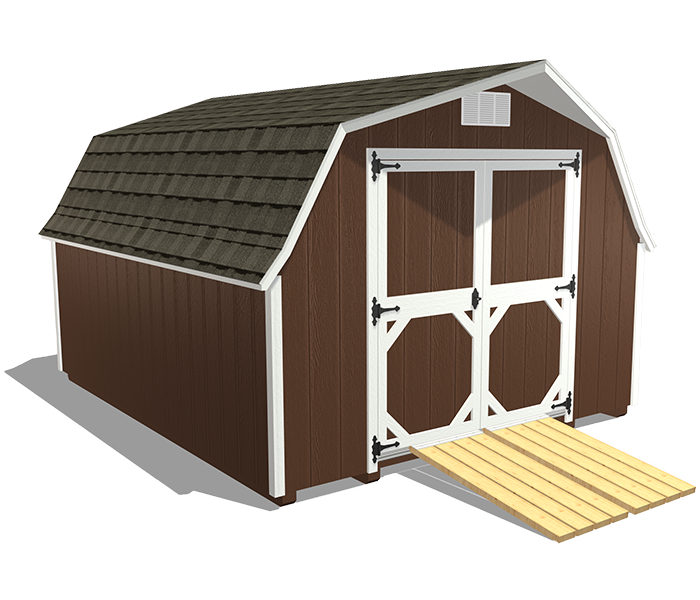 Our Backyard Shed Package is ideal for conveniently and securely storing your mower, patio chairs, portable fire pits, bicycles, sleds, and all the things that won’t fit in your house anymore—like plastic storage bins full of holiday decorations and bags filled with old clothing. 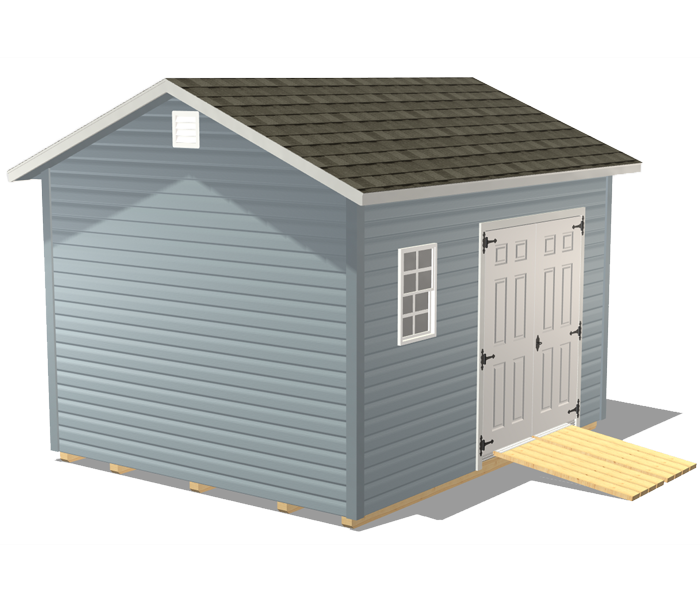 Keep your outdoor items in a durable and attractive backyard shed. 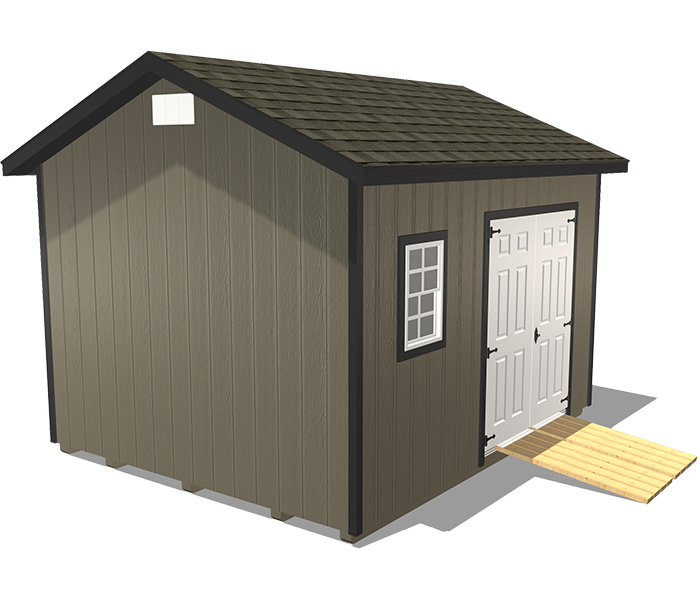 Store your lawn mower, trimmer, snow blower, outdoor sports equipment, and more in this convenient and secure shed. 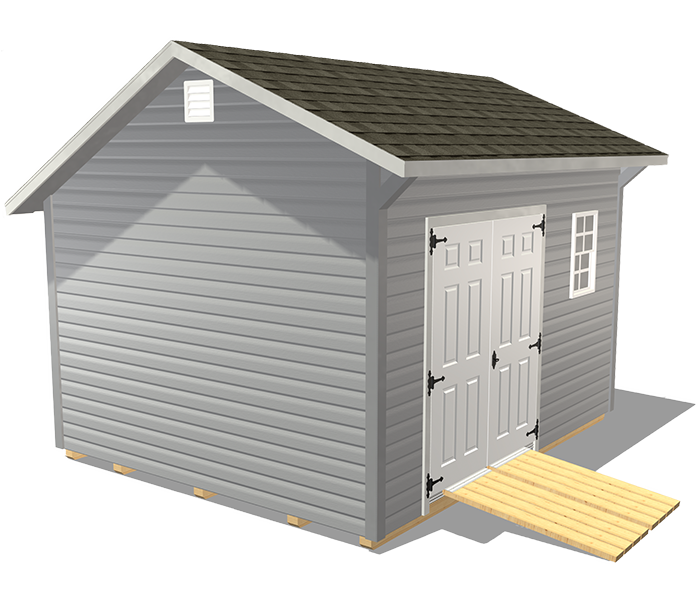 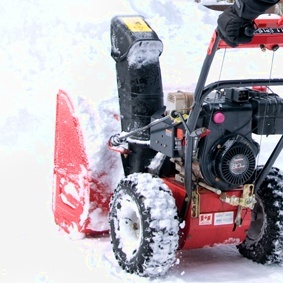 Its durable material and low-maintenance siding means there’s little upkeep needed. 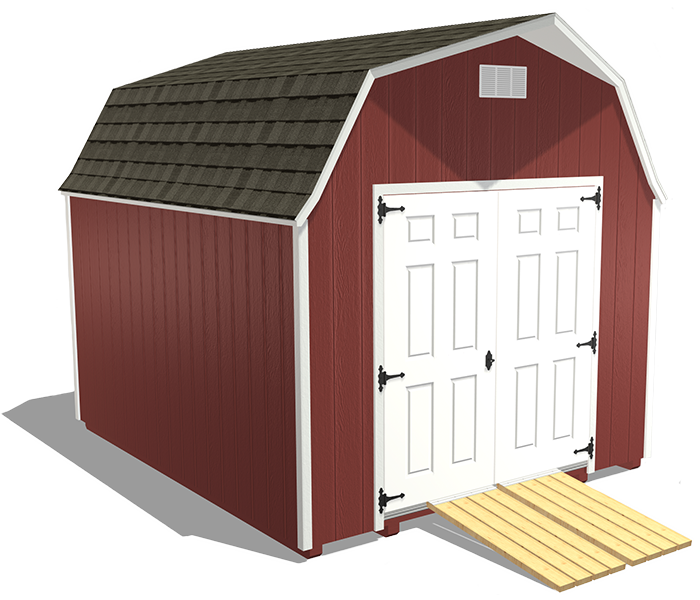 The double door makes getting your mower and bike in and out easy and convenient. 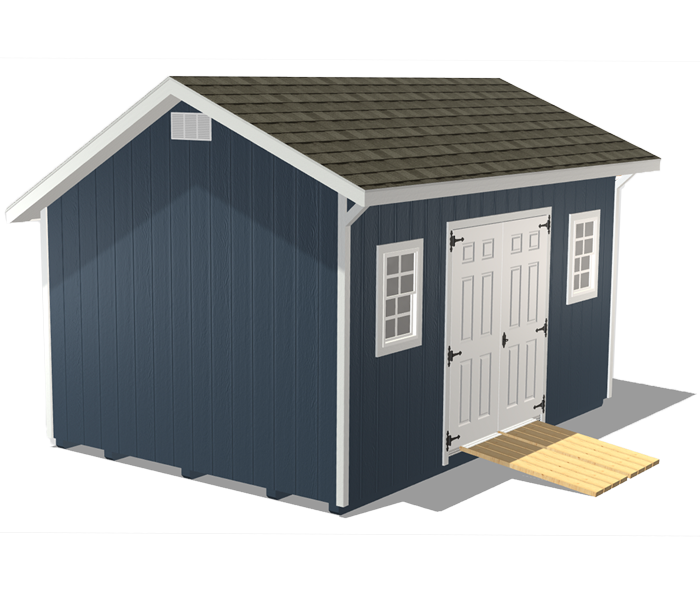 Reclaim a spare bedroom or a corner of your basement by storing seasonal decorations, clothing bins, window air conditioners, stand up fans, odds and ends, and more in a secure backyard shed. 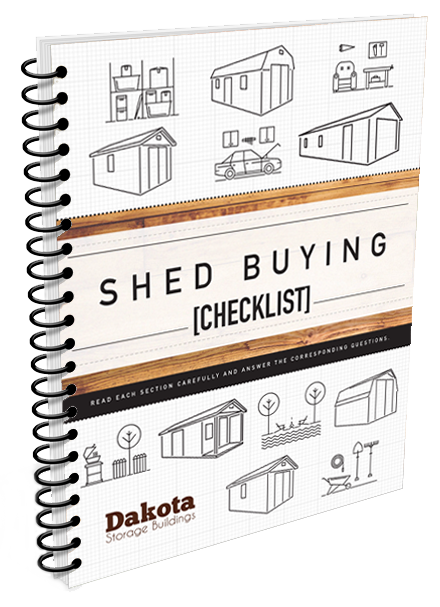 The customizable organizational kit that comes with this shed package will help you keep smaller items together and organized. 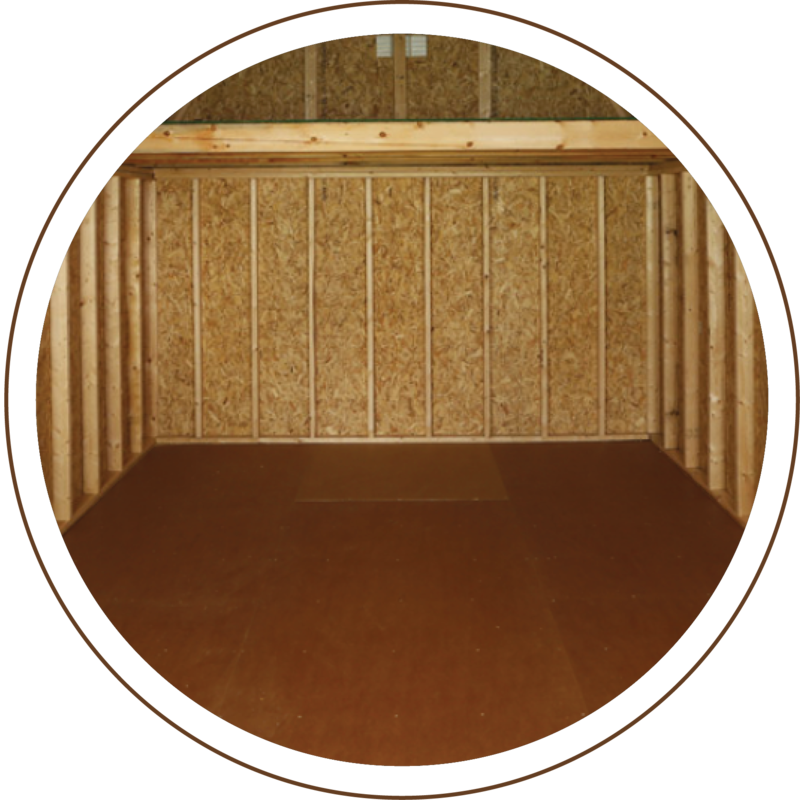 This clean and durable overlay resists termite damage, decay, warping, and splitting. 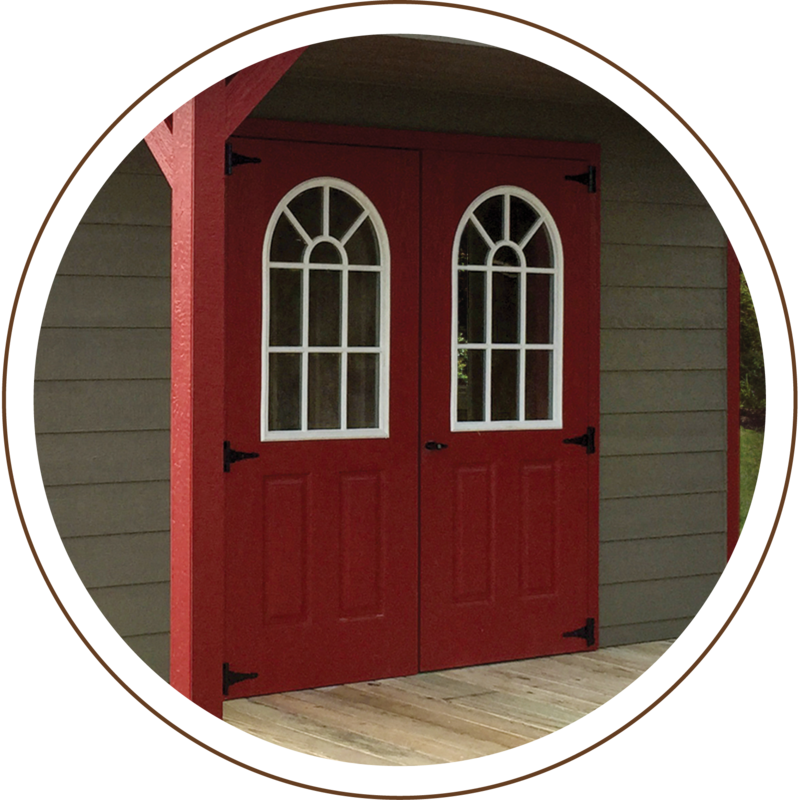 Two durable doors make maneuvering wheeled equipment and carrying bulky items in and out easier and safer. 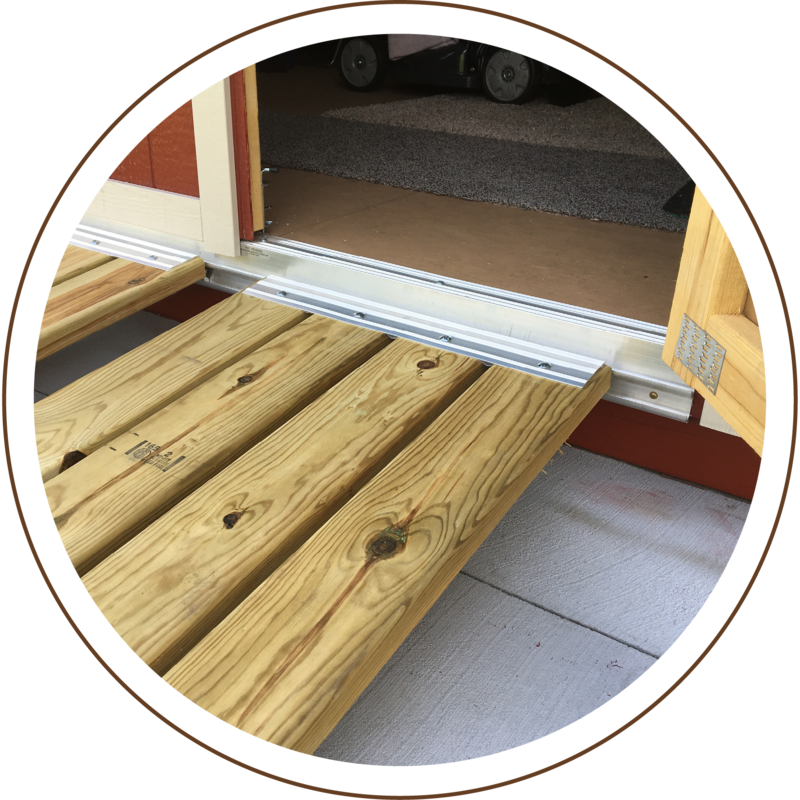 Having an accessible and secure shed ramp makes driving lawn mowers and moving wheelbarrows more convenient.